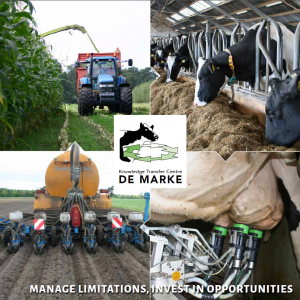 Since 2012 is at KTC De Marke a new biogas installation operational: Fermtech system. The biogas installation is built as much as possible with the existing infrastructure of the old biogas installation. The biogas installation consists of a pre-mixing pit, hydrolysis reactor, methane reactor, integrated digestate and biogas storage tank and a CHP-installation.